SMD stands for “Surface Mount Device”, and SMD LED lights refer to light-emitting diodes that are mounted and soldered onto a CB (circuit board). 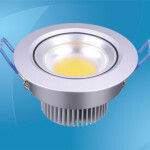 SMD LEDs are considerably smaller compared to other types of LED because there are no surrounding packaged, like there are in the case of DIP LEDs. For this reason, SMD LEDS are produced at industrial scale using high-precision, automated assembly equipment. IN addition to this, SMD LEDs have a wide viewing angle and they give off little heat, this is why they have such low voltage and, automatically, low energy requirements. One of the most important benefits of SMD LED lights is that they are available in a wide range of colors due to the large number of diodes per bulb: you can choose from green SMD LEDs, blue, red and such. The variety of colors along with the fact that they provide energy-efficient, cost-effective and green lighting are the main aspects that make these LED lights very popular for large outdoor displays. 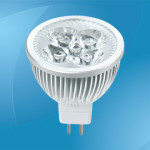 Moreover, SMD LEDs provide very high brightness while having a lower energy consumption than DIP or cluster LED lights, as well as the classic light bulbs. A printed circuit board is used to connect and support the electronic components inside the LED light. LEDs are practically light bulbs that use a certain type of circuit board, and they provide light when the electrons start to move. Surface mount LEDs are used for various applications, including routers, hard drives, USB flash drives, computer motherboards and virtually any application that requires a small, energy-efficient device that produces a minimum of heat. Other common applications include push buttons, keyboard lights, display backlighting, shopping malls indoor screens, traffic signs and even for instrument panels on planes. 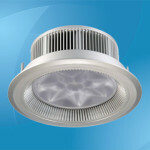 Over the past several decades, people have started to understand the tremendous impact human activity has on the surrounding environment, this is why LED lights of all kinds (included the surface mount devices) have started to be widely used in the above-mentioned applications. The reduced dimensions make SMD LEDs very compact and easy to install – moreover, the light chips are located in an epoxy resin case. Generally speaking, the voltage used by these LEDs is between 2 and 3.5 volts, thus using a very low voltage and energy (the energy consumption is 75% less compared to traditional lights, and up to 85% less than incandescent lights. The longer life span is another important feature: as a matter of fact, a typical SMD LED light can reach 100,000 hours if it uses proper energy and voltage condition. The optical decay is also considerably lower (5% in 1000 hours, compared to over 15% like it happens with DIP LED lights). The brightness level of the chip can reach 5050 units, and the typical SMD LED light contains at least one light-emitting chip (the LED light with the highest brightness has three light-emitting chips. In other words, the light bulb with 5050 units is up to three times brighter compared to the bulb that has only one light-emitting chip. 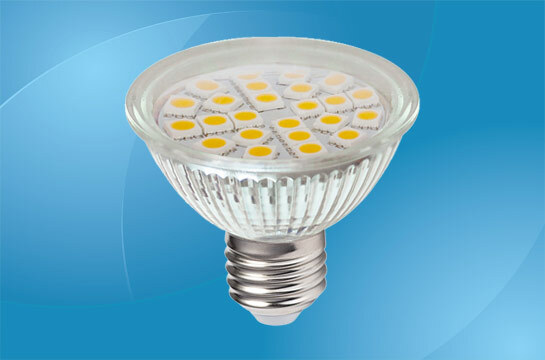 Just like all the other types of LED lights, the SMD LEDs are available in two models: cool white, which is similar to the color provided by the well-known neon glass tubes and warm white, which is similar to the color of the incandescent light bulb.